Posted January 9, 2014 by Daniel Paperny & filed under Bondi View. Waverley Council will hold a community consultation with members of the La Perouse Aboriginal Land Council to discuss the future uses of the Queens Park Scout Hall. Owned by Scouts Association NSW, the Scout Hall was recommended for demolition by the Waverley Development Assessment Panel last year amid concerns the site was inviting anti-social behaviour. Waverley Council has also been involved in continual discussions with Scouts Association NSW about the site and its impact on local amenity. “We were talking to the Scouts over the year, saying this is causing considerable stress. The police were going round, there were drugs, [vandalism], all sorts of things,” said Waverley Mayor Sally Betts. Liberal councillor Andrew Cusack said it was important to speak to the Queens Park residents about how they envisaged the site could be used. “The approval has been given for the Scout Hall to be demolished and due to what these residents have had to cop for years and years, we wanted to give them some assistance,” he said. Greens councillor Dominic Wy Kanak said the Scout Hall may be subject to an Aboriginal land claim because it is located on Crown land, and it was important to recognise this claim in any discussions surrounding the future uses of the site. Crown land is recognised as iconic and diverse public land, such as Hyde Park and Bondi Beach, which is used to manage the social health and wellbeing of local communities. All Aboriginal land claims are assessed under the NSW Aboriginal Land Rights Act 1983 with 35,000 Crown reserves currently located in NSW alone. Cr Betts said the Scout Hall was beyond repair and was a safety concern, being in such close proximity to a children’s playground. 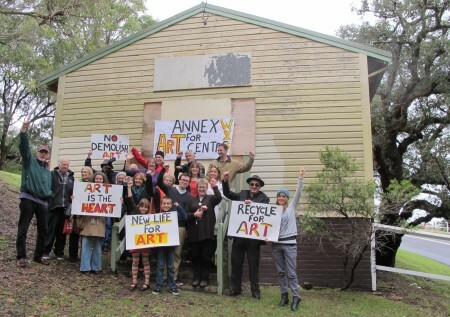 Labor councillor Paula Masselos said the Waverley Woollahra Arts School had enquired about using the Scout Hall as a print-making facility for its art students. “Print-making requires a dedicated space, a pristine space. It’s a great opportunity to show [how] Waverley is committed to the arts,” she said. The Queens Park community meeting will take place next month. It will look at such options as an upgrade to the existing children’s playground and other potential uses for the site.